The music industry has changed its way of catering to mobile users, as the music subscription services are taking over. After Spotify took over as a powerful music streaming service, Google Play Music, and Apple Music have brought the same to their line of mobile devices. Android users can also enjoy Google Play Music family plan on their smartphone and tablet to share music with friends and family. For starters, you need to make sure that you are not using a Google Apps for Work account to set up Google Play Music family plan. 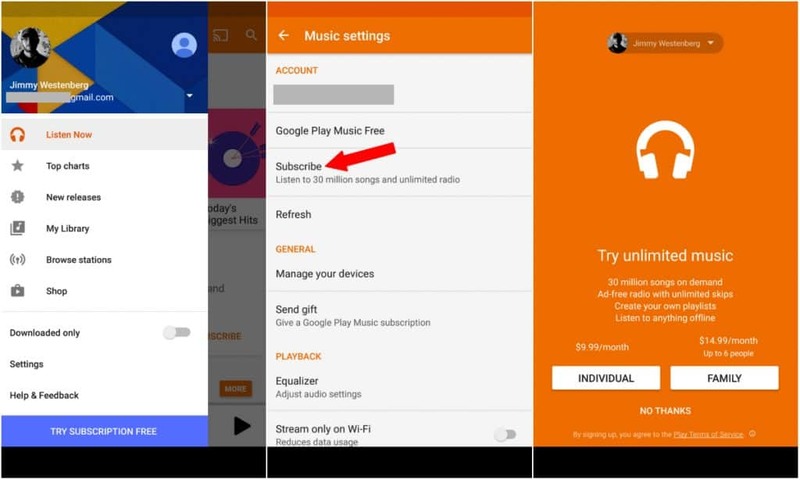 You will also have to be a Google Play Music App Access subscriber with a Gmail account to share Play Music with others. The service does cost $14.99 per month, but all the members on your family plan get to enjoy YouTube Red subscription for free. Open the Google Play Music app on your Android device or download it here. Press the hamburger menu icon on the top-left corner of the app screen. Tap on Settings at the bottom of the pop-out window. Press the “Start Trial” button or start a paid membership by pressing “Subscribe to Google Play Unlimited”. If you’ve previously used the free trial option, the app will only show you a “Subscribe” option. The next page will ask you whether you want to begin a single subscription (Individual) or family plan, so press the “Family” button. Open the Google Play Music app on your Android phone or tablet. Once again tap on the hamburger menu icon on the top-left corner of the app. Tap on the Settings menu at the bottom of the pop-out window and select “Upgrade to family plan” and set up your family plan. Select the payment method for the purchases made by the members in your family plan. The payment method can be either an existing card or you can add a new one. Tap on the “Invite” button and follow the steps to confirm your action, and begin sharing your Google Play Music subscription with friends and family. Once you have invited members through the Google Play Music app, they will receive an email invitation. Remember that the members in your Google Play Music family plan can use your selected payment method for apps, games, books, TV shows, movies and magazine subscriptions. Although the account manager has to approve the purchase by default, make sure you invite only the people you can trust with your account details. 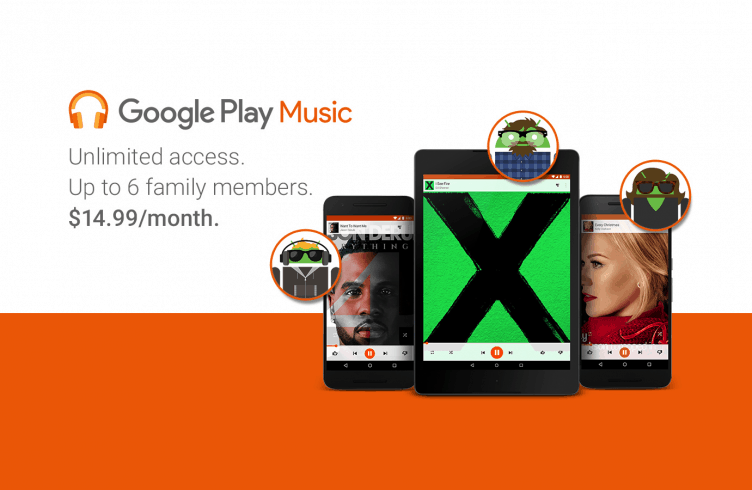 Were you able to set up your Google Play Music family plan and share your tunes with loved ones? Let us know your thoughts about the post in the comments section below.